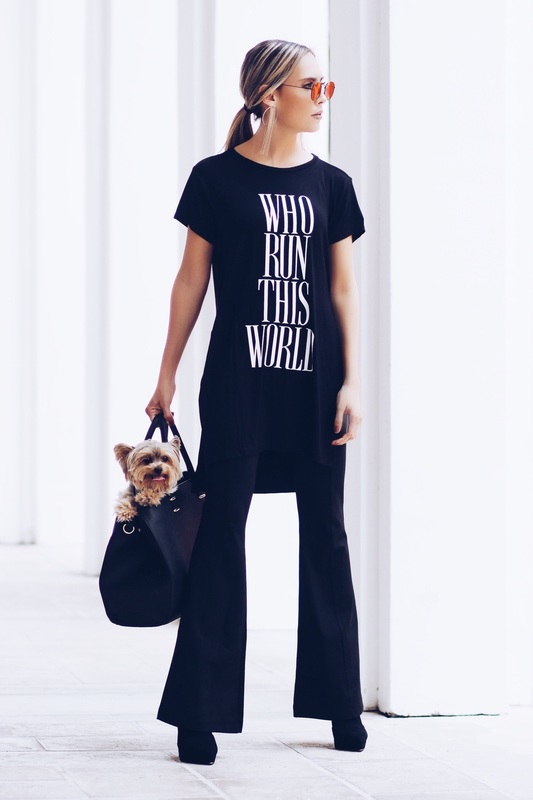 Oversize tees and Flare pants vibes! How stylish this outfit look and is under a $100 dollars. When shopping on H&M or other fast fashion stores it can be tricky since you want to buy it all but end you end up getting stuff that put together can look tacky. To get an outfit and make it look more expensive than it is I think you should always go for the neutral colors and the simple styles, also accessorizing the right way is key. In this outfit, I added some minimalistic ear hoops and it really enhances the look and makes it more stylish!